The Race to Dubai nears its thrilling climax as the European Tour’s BMW Masters gets underway Thursday at Lake Malaren Golf Club, a Jack Nicklaus Legacy Course located in Shanghai, China. This week’s field features 14 of the top 15 in The Race to Dubai, only missing points-leader Rory McIlroy, the No. 3 player in the Official World Golf Rankings who chose to skip the event and a fourth tournament in a row as he continues to recover from a summer ankle injury. McIlroy is trying to take The Race to Dubai for the third time in four years, but leads Danny Willett by just 74,215 points. A finish inside the top 28 for Willett would seize the top spot, heading into the season-ending DP World Tour Championship in Dubai. TV coverage of this week’s BMW Masters is on Golf Channel from 9:00 a.m. to 12:30 p.m. Thursday through Saturday, and from 8:00 a.m. to 12:30 p.m. Sunday. “This could be a very big result for me,” said Willett, whose 62 in last week’s final round of the WGC-HSBC Champions helped trim McIlroy’s lead by more than 320,000 points. “With Rory not playing, I could gain a few more points on him and give us a nice buzz going into the final week into Dubai. This week’s BMW Masters continues an amazing run for Nicklaus Design, one that has seen at least one Nicklaus course host an event on the European, PGA, Champions, Web.com, or LPGA tours for eight of the past 10 weeks. In two weeks, the acclaimed Nicklaus-redesigned Australian Golf Club will host the Australian Open. The field at Lake Malaren—one of Nicklaus Design’s 28 courses open for play in China (with another 18 courses under development)—features 78 players from 22 different countries, and 57 past winners on the European Tour—totaling 222 victories between them. There are 21 of the top 60 in the Official World Golf Ranking in the field. BMW Masters defending champion Marcel Siem is also in this week’s field, looking to not only become the event’s first repeat winner but also to secure a European Tour victory for the fourth consecutive year—a feat only bettered by South African Louis Oosthuizen, who has victories in the last five campaigns. The 35-year-old Siem has vivid memories of his 2014 win at Lake Malaren. Mr. Sun Weimin, Deputy Director of the Shanghai Sports Bureau, shared his thoughts about the tournament’s impact locally. China’s Haotong Li, whose seventh-place finish last week became the highest finish of any Chinese player in World Golf Championship and U.S. PGA Tour event history, also shared his thoughts about the course and event. 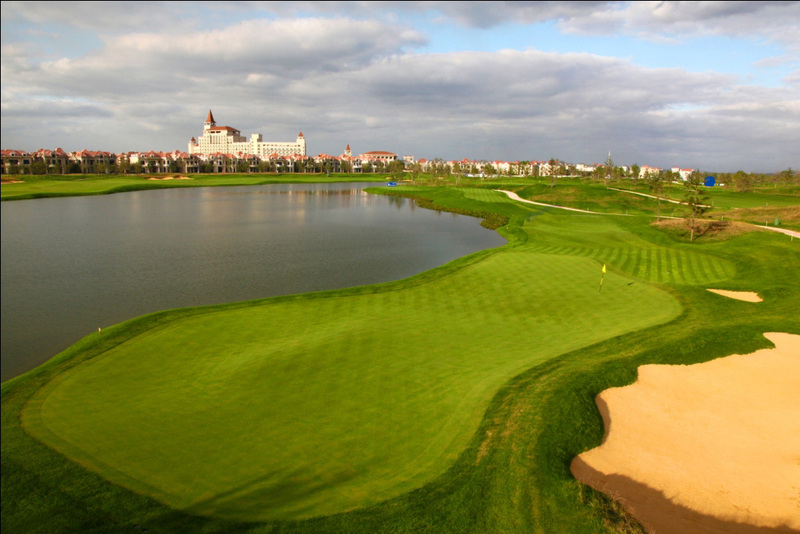 The Lake Malaren layout, the Jack Nicklaus Legacy Course which featured Nicklaus Design President Jack Nicklaus II as the lead designer, opened for play in 2011 and landed in Golf Digest China’s 2012–2013 list of the Top 10 New Golf Courses in China. Playing at just under 7,600 yards, Lake Malaren is a visually stimulating, parkland-style track, with extensive bunkering and expansive water hazards adding to its test.